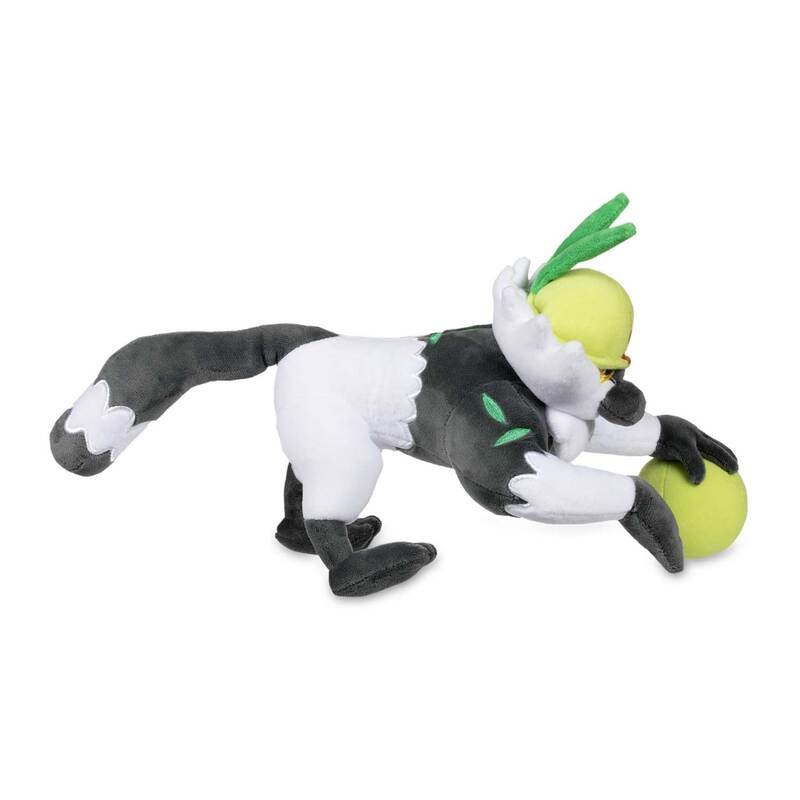 Amazing Alolan Poké Plush of Passimian! 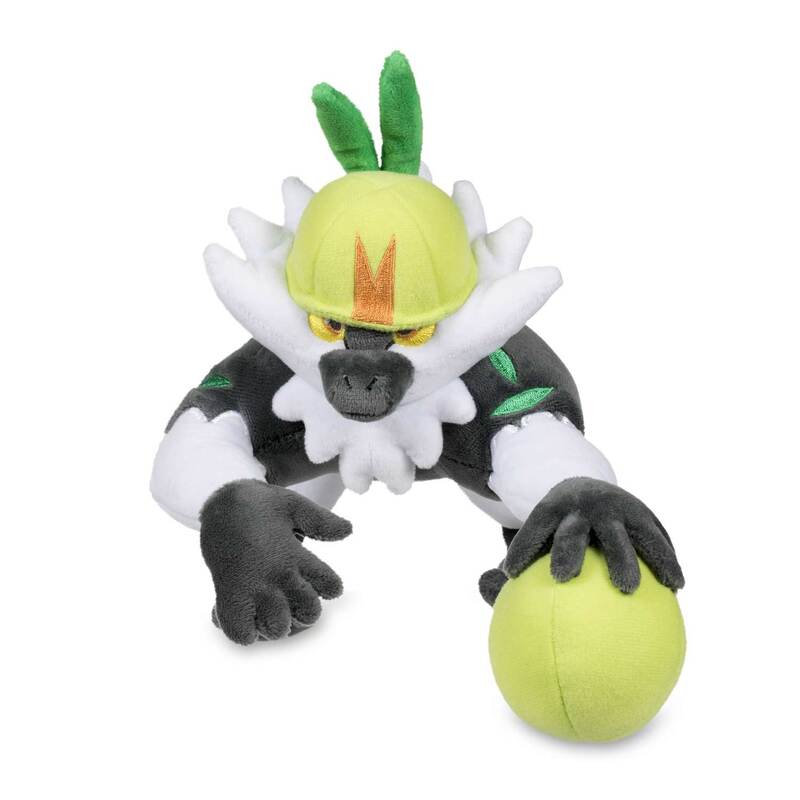 With green embroidery, scalloped ruff, and hooded eyes, Passimian is holding a green sphere and looks ready to play. 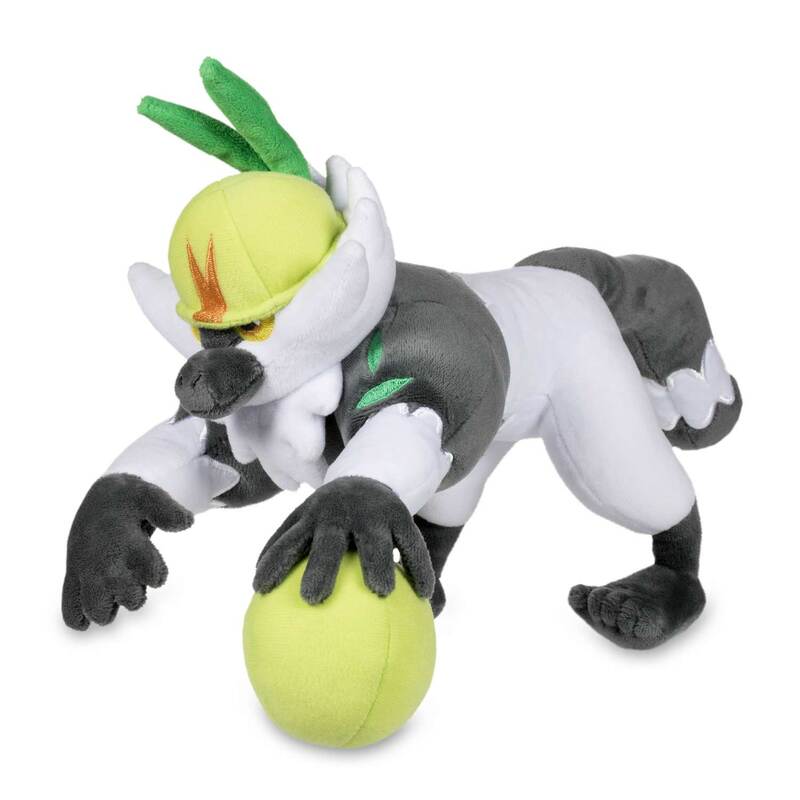 Do Passimian play ball? We think they might! You got game? We got coconuts!